The Cheesecake Burlesque Revue keeps audiences coming back for more! They are multiple award-winners from Victoria, BC who have dazzled and delighted in Las Vegas, New York, New Orleans, San Francisco, Seattle, Helsinki, Paris, Stockholm, Rome and Berlin, as well as all across Canada! Armed with a sassy-silliness, and a g-force of glitter, these girls pack a sparkly punch that will make your heart happy and leave you loving the skin you’re in! 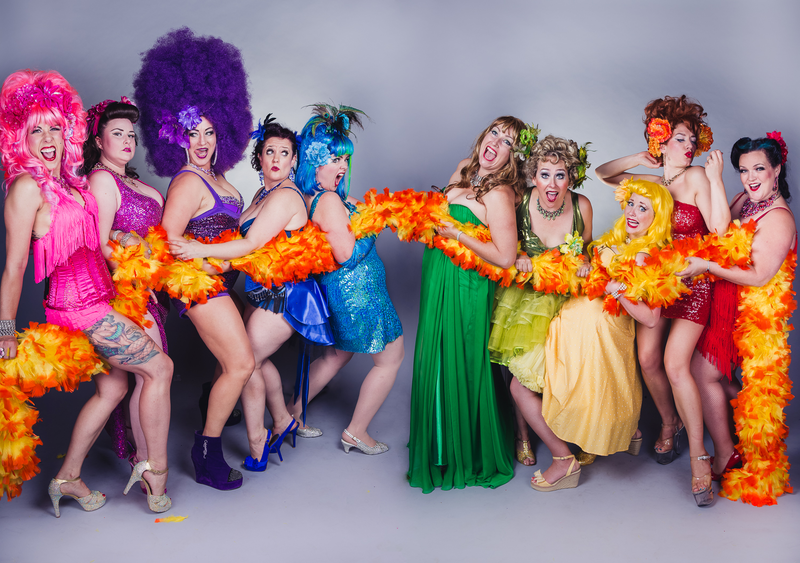 The Cheesecake Burlesque Revue is THRILLED to be heading to the EAST COAST! You can catch us in at the Imperial Theatre in Saint John, New Brunswick on March 8 & 9! Ticket details below! Tickets and info: Coming soon! Interested in having the Cheesecakes at your event, or arranging a workshop? Please email the Cheesecakes to get all the details.